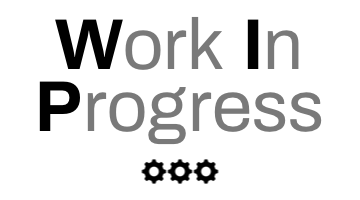 A few years ago this blog ran a panel on ‘The future of organizational sociology’. In this panel renowned organizational scholars discussed the current position of organizational sociology as a field of research at a time when a large amount of organizational theory and research was developed and conducted at business schools. They argued that the future of the field could only be ensured if there were a continued discussion between sociologists based within these very different kinds of institution. Related debates on the future of organizational sociology and the direction of its development were published in the mid-1980s, for example by Robert Dingwall and Phil Strong and more recently by Patrick McGinty. These authors discussed the long-standing concern of interactionist research with organizations, the ‘negotiated order’ and with the ‘organizing of social life’. They looked for reasons for the neglect of this body of studies by those who, over the past 40 years or so, have developed organizational sociology in departments of sociology and in business schools. Dingwall, Strong and McGinty argue that for a long time organizational sociology has been preoccupied with formal organizations and with the generation of concepts to aid its study, but that organizational sociologists have followed this interest at the expense of studying the contingencies and complexities of social actions that bring about organizational practices. In contrast to this, they point to the important contribution that interactionism has made to organizational sociology in its study of society as local practice (occurring in specific contexts) and situated practice (tied to specific instances of interaction). 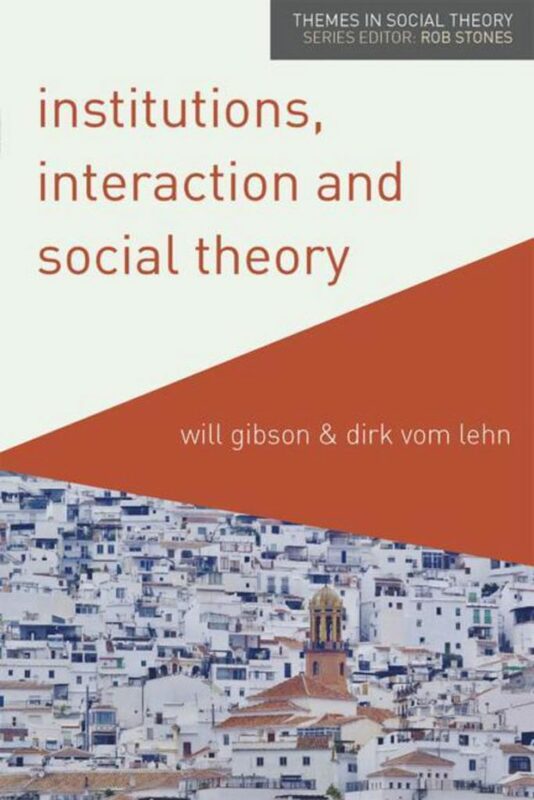 Our book Institutions, Interaction and Social Theory follows on from these arguments by exploring in detail the connection between institutional scholarship and ‘interactionist’ research. In our usage of the term interactionist refers to work in the fields of symbolic interactionism, ethnomethodology and conversation analysis. Our central argument is that there have been a number of recent examples of institutional scholarship emerging from new institutionalism – such as ‘discursive institutionalism,’ ‘institutional work’ and ‘communicative institutionalism,’ all of which turn towards a focus on people (or social ‘actors’, to use their common terminology), and call explicitly for the prioritization of people’s meaning making practices in the analysis of institutions. These ‘new perspectives’ are, for the most part, framed with no reference to the significant body of interactionist work that has as its focus the study of institutions through people’s interpretive actions. Our book is divided into two parts. It begins by outlining the connection between symbolic interactionism, ethnomethodology and conversation analysis and the study of institutions, showing the concepts and theoretical frameworks that have been used in these fields to explore institutional action. A significant part of this discussion involves thinking about the terminology of institutions, organizations and actors and how these are conceptually formulated across the different disciplines. After this, we look in detail at four areas – health, education, arts and markets – and explore a range of empirical studies to show how interactionist concepts have aided the exploration of institutional life. We show that interactionist research on health reveals how professionals and patients make sense of the workings of the medical institution and how they make those institutions work. For example, we look at the ways in which typifications are used by institutions to manage and control the information that patients receive, and how patients use typifications to make sense of their treatment experiences. With regard to education we show the empirical base that interactionism provides for understanding educational practice. We discuss symbolic interactionist studies that analyze how changing institutional practice can impact on personnel’s sense of identity as professionals and the ways that ideological frames are experienced as daily work activities. We also examine conversation analytic research that unpacks the details of institutional interaction, revealing how knowledge and learning are worked through as conversational activities. In relation to markets we review studies in shops and retail outlets, street markets, financial and currency trading rooms and at auction, and show the role of social interaction in the production and negotiation of value and price. Finally, we turn to art and culture where interactionists have analyzed art as a collaboratively produced activity, the ways that institutions label and control artistic practice and outputs, and how people in ordinary circumstances in museums encounter, experience and make sense of works of art in interaction with others. The selection of these four areas reflects our own interests and research backgrounds, and there are all kinds of institutional practice that interactionist work has made a substantial contribution to that we have not included here, such as the law, politics, religion, civic governance and many others. Our central argument is that in turning towards social actors, institutional scholarship should pay close attention to the ongoing traditions of inquiry that have as their focus an analysis of institutional action. We hope to encourage further research that draws on interactionism, and that can contribute to debates in organizational sociology in and across departments of sociology and business schools that thus far seem to have often ignored the interactionist imagination. Will Gibson is Reader in Social Research at UCL, Institute of Education. Dirk vom Lehn is Reader in Organisational Sociology at King's College London.